We all know aging skin loses its elasticity. But only a few of us know there’s a hydrating daily moisturiser that activates cell renewal while giving protection from the harmful effects of the sun. 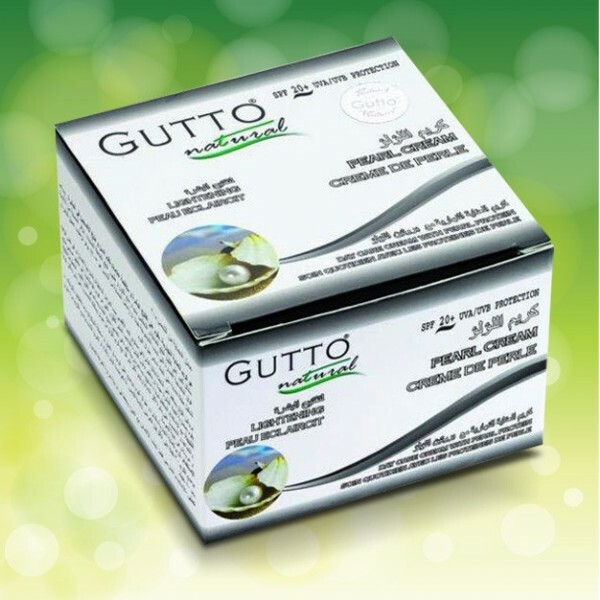 This multi-targeted pearl anti-wrinkle cream from Gutto Natural is an organic formula that repairs the skin cells while also working as a lightening cream to restore skin to its youthful glow. This unique bio-active face cream with SPF 20 is derived from the pearls of Indian Ocean oysters to protect and restore. They contain over 20 amino acids and more than a dozen minerals which are essential for replacing lost collagen and preserving healthy skin tissue. To use, apply Gutto pearl face cream each day after cleansing and before exposing skin to the sun. For best results, use for at least one month and alongside Gutto blue anemone kinetin night cream.